Flower girls, Junior bridesmaids, ring bearers, ushers. The precious little ones add so much to a wedding party. The cuteness factor is undeniable. Most times I find that the youngsters are related to the bride or groom in some way...usually they are a niece or nephew. Sometimes they are children of a bridesmaid or a groomsman. 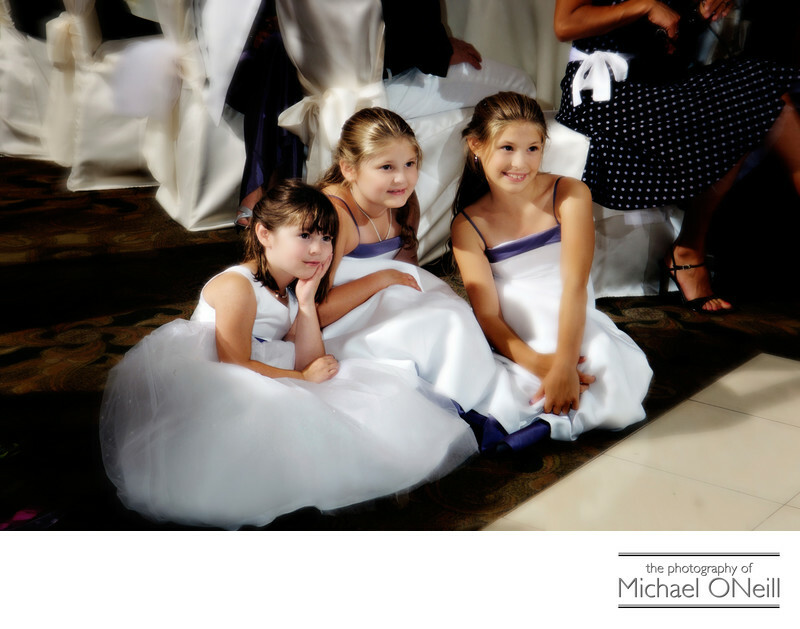 Dressed here in their beautiful little dresses these little girls were looking on from the edge of the dance floor at the amazing wedding venue, The deSeversky Mansion and Conference Center located on the grounds of NYIT in Nassau County, Long Island. They seemed so enraptured with the spirit of the moment as the bride and groom danced their first dance together as husband and wife. Perhaps they were day dreaming about that special day in the future when they, too, would become a bride...dancing with their husband in a grand ballroom as their friends and family looked on. Good story telling is what being an extraordinary wedding photographer is all about. The ability to capture both actions and reactions. The action here being the couple’s choreographed first dance together; the reaction being the adorable look on these little girl’s faces. Let me capture all the spirit and emotion of your amazing wedding day. Give me a call here at my Long Island, New York studio to discuss all of your plans for your special day.